Performing synchronization of local and FTP folders is probably the easiest way to create a backup of your data. Through keeping your local files in sync with an FTP location you can easily restore them in case of accidental deletion or corruption. 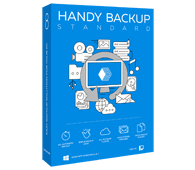 Handy Backup is an easy-to-use backup and synchronization utility designed for Windows 10/8/7/Vista/XP and 2016/2012/2008/2003 Server. It lets you synchronize local/LAN folders with remote FTP directories either as a run-once event, or automatically, on a regular schedule. Folders can be located on any internal and external drives including FireWire and USB HDDs (which is especially useful if you are planning to backup to USB). Syncing files and folders with an FTP storage is among the top price-efficient solutions for protecting data in a company IT environment and by advanced individual users. Try out now! As FTP servers are usually located in some distant place, they provide good protection of data from physical destruction (e.g. caused by fire or flood). Handy Backup allows you to synchronize files and folders in both directions: by copying local files to FTP and vice versa, by backing up remote FTP folder to your place. The second capability can be very helpful in case when you need to backup website sources which you can access via FTP. There are numerous hosting providers selling disk space on their servers that can be accessed over Internet. This allows data that was backed up or synchronized via FTP to be accessed from anywhere in the world. Handy Backup’s advanced transferring engine can operate from behind both FTP and SOCKS5/SOCKS4 proxy servers. Moreover, our backup utility has an integrated option to back up to our own highly-secured server. Learn more about Novosoft Online Backup Service. Another advantage of synchronizing files with FTP folder via Internet is that you don’t need to look after the server: hosting provider does it all for you. Once FTP file synchronization has been made, you can forget about the server until the next time you need to make a backup. Learn also about online backup software for service providers. Handy Backup - simple yet reliable client for FTP backup and synchronization!